KPMG can assist the student members of Beta Alpha Psi by presenting on topics of interest in the fields of Auditing, Tax , and Management Consulting, career development, internships, leadership development, IFRS, Personal Branding and Global Opportunities just to name a few. KPMG is a leader in many technical fields of interest to Beta Alpha Psi student members and we have been active in all of the local chapters. Blane attended Rutgers College in New Jersey and graduated with a Bachelors of Science in Economics in 1980. He subsequently attended the University of Hawaii at Manoa where he received a Masters in Accounting degree in 1982. After graduation, he began his career in the audit department of the KPMG Honolulu office where he serviced clients in the healthcare, non profit, real estate, agribusiness and hospitality industries. From 1988-1989, he participated in a 2 year rotational program in KPMG’s national training center in Montvale New Jersey where he was responsible for the development and instruction of numerous KPMG assurance courses. Upon his return to the Honolulu office, Blane assumed the responsibility of Primary Recruiter for the office in addition to servicing his assurance clients in the hospital and hospitality industries. In 1994, Blane transferred to the KPMG Long Beach office to assist with the Southern California Health care assurance and consulting practice. In 1997, Blane transferred to the Los Angeles office where he assumed the Director of College Recruiting position for the Pacific Southwest area where he was responsible for the hiring of all entry level Assurance and Tax department personnel. In 2000, Blane assumed the role of National Director of Campus Recruiting as part of the KPMG National Recruiting team in Montvale, New Jersey. In 2008, Blane assumed the role of Executive Director for Campus Recruiting and University Relations. Blane served on the BAP Professional Partners for nine years including two years as Chair. 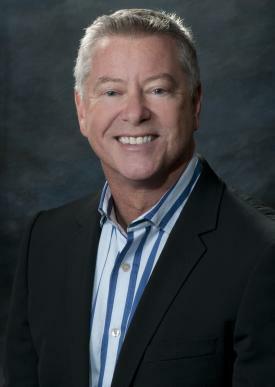 He also serves on the Board of the Education Foundation for Woman in Accounting, and formerly having served on the AICPA Pre-certification Executive Education Committee (PcEEC) , the Accounting Program Leadership Group (APLG) Board of Directors and the Board of the Federation of Schools of Accountancy (FSA). He lives in Charleston, South Carolina and works out of the Montvale, New Jersey National Office as part of the National Human Resource team.